Today in Masonic History Nicholas Gilman, Jr. passes away in 1814. Nicholas Gilman, Jr. was an American soldier and statesman. Gilman was born in Exeter, New Hampshire on August 3rd, 1755. Born during the French and Indian war he would quickly learn the military responsibilities that went with being a citizen of the New England Colony. His father along with others from the area were leaders in the revolution. In 1775, while Gilman's father and brother headed off to fight the British soldiers around Boston, Gilman stayed behind and is believed to have trained with the local militia. Gilman was very much the patriot and was eager to do his part for independence. In 1776, Gilman was appointed to serve as adjutant of the 3rd New Hampshire Regiment under Colonel Alexander Scammel. Gilman would serve under Scammel until just before the Battle of Yorktown when Scammel was killed in a skirmish leading up to the battle. The 3rd New Hampshire was defeated in it's first battle with the British at Fort Ticonderoga on Lake Champlain. The 3rd New Hampshire and the rest of the garrison made their escape under the cover of night before they could be captured. The 3rd New Hampshire regrouped and would be able to slow the advance of the British forces so other elements of the Continental Army could come in and push back the advancing British forces which eventually surrendered to American troops. Shortly after their victory Gilman and the rest of the 3rd New Hampshire headed to Valley Forge where they spent the winter. This was an opportunity for Gilman as he was able to spend time with George Washington and other military leaders including Henry Knox and Nathanael Greene. It wasn't until the final battles of the American Revolution that Gilman saw action. He fought in the battles of Monmouth and Yorktown. Much of the joy of the victory at Yorktown was taken from him when Scammel was killed prior to the battle. In 1783, after the death of his father, Gilman retired from the military to take over the family business. This was short lived as public service called to Gilman. 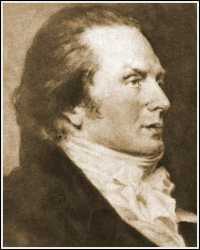 In 1786, the New Hampshire legislature selected Gilman to be New Hampshire's representative at the Continental Congress. That same year he was elected to represent New Hampshire at the Annapolis Convention. In 1787, Gilman was very pleased to be elected to represent New Hampshire at the Constitutional Convention. Although he and the other New Hampshire delegate arrived late to the proceedings, they both jumped into the debate and Gilman was pleased with the changes they were able to hammer out and believed that it would be ratified by every state and region. "the best that could meet the unanimous concurrence of the States in Convention; it was done by bargain and Compromise, yet, notwithstanding its imperfections, on the adoption of it depends (in my feeble judgment) whether we shall become a respectable nation, or a people torn to pieces ... and rendered contemptible for ages." Back in Exeter, Gilman's brother John worked to get the Constitution ratified. Eventually New Hampshire would vote in favor of it 57-47. Gilman would be present when the First Congress went into session in New York in 1789. He would be seated in the House of Representatives. He would hold that office for 4 terms. After Gilman's time in the House of Representatives, he would return to New Hampshire where he would run for one term as a state senator. During this time Gilman's political allegiances began to shift. Always a staunch nationalist, he would support the Federalist party. After the Constitution was ratified, Gilman turned his attentions to the need to protect the common man from abuses of power by government. In 1804, he would run for the United States Senate and be elected as a Jeffersonian. In 1812, in the senate, Gilman voted against going to war with the British. Gilman was a member of St. Johns Lodge No. 1, Portsmouth, New Hampshire.